Indie Retro News: Black Jewel - A very good C64 styled game releases on Steam TODAY! Black Jewel - A very good C64 styled game releases on Steam TODAY! 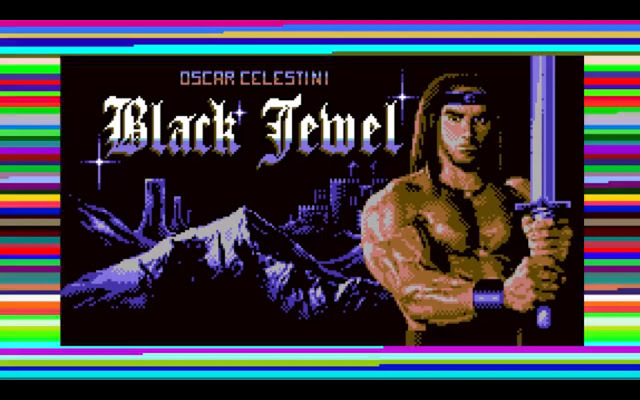 It was only just last month we gave you a heads up, to let you know that Oscar Celestini Retrogames ' Black Jewel ' was released on itch.io, as a PC game created in a C64 style with lovely retro styled pixel art and hard to master gameplay. Well you'll be pleased to know this very eye opening tribute to Storm Warrior from the C64, is not only a game you should play, but it's going to be released on Steam TODAY! As a tribute to an old 80's game Black Jewel is high up there in the list of recommended games as a special breed of retro nostalgia. It isn't just a very good game but it looks bloody good to. It has fancy CRT C64 pixels, a cool Ost by Gianluca Pappalardo, 1 special track by Daniele Coppola, five different zones such as forests and ruins, 50 screens to complete, enemies to battle and what's more there's even dangerous bosses and intro and ending pixel art illustrations!